I suspect that I am not the only one this morning – the Feast of Our Lady of Providence, Queen of the Home – who is thrilled and grateful that the grants we have prepared for, applied for (four times) and prayed for have at last been awarded in our favor, and that “St. Mary’s Senior Housing” will be a reality and a blessing for our neighbors here in the Wabash Valley – and simultaneously for us. And as Providence would have it, the gospel reading that we just heard can perhaps help us understand this marvelous reality, this generous blessing, a bit more. What was the source of that calm command? How did she know what would happen? At the story’s conclusion, the water has become wine and the domestic crisis is resolved. 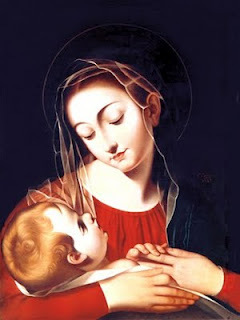 Mary had relief on God, through the hands of her beloved son Jesus, to provide what was needed, and so it was. And what of us? As we, our Associates, and all our friends and supporters give joyful thanks for the resolution of our own domestic crisis (the fate of Owens Hall), how can we live out our trust in Providence as Mary did? These responses came to me, and perhaps they may have meaning for you as well. We can believe that we shall be given what we need, when we need it, asking for the grace to avoid impatience with friends, peers, or those who may be strangers, in the grocery line or on the highway. We can live in the hope that grace will carry us during any difficulty, and that God will guide us through the changes and choices of the future. We can love our neighbors as ourselves, cherishing, protecting, and defending our fellow citizens in this “most distressful country,” the inhabitants of our hurting world, and all life on this beautiful and fragile planet Earth, our only home. Sister Rosemary, your words are truthful, hopeful and loving. Thank you! Thank you so much, Roe, for this beautiful reflection! It also relates to thoughts about Thanksgiving. Beautiful (and timely) words from my beautiful Companion! Love you, Shug! Thank you for your reflection, Sister Rosemary. The feast of Our Lady of Providence came at the right time! Mary was watching, and she saw the problem at the wedding feast before it became a public scandal. I like to think that she is watchful in my life as well, and that she sometimes intercedes with Jesus on my behalf even before I know that need. She tells me, also, “Do whatever he asks of you.” If what is asked makes no logical sense at the time, it is because Providence is at work! I’m sure the timing was perfect for the good news of renewing the purpose of Owens Hall. Sister Rosemary, I LOVE the interjection of the prayer to Our Lady of Providence in the Hail Mary… again, Thank you for awakening this reflection! !